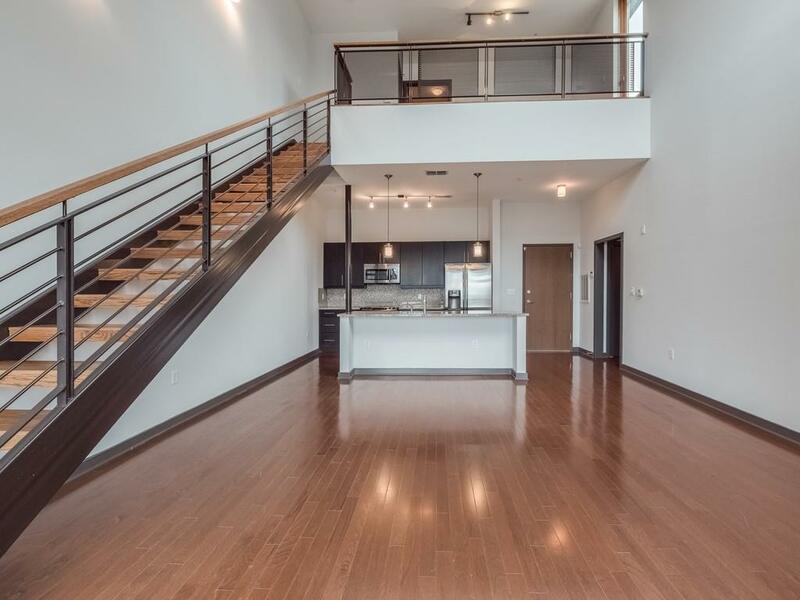 TOP FLOOR PENTHOUSE living at its BEST!! 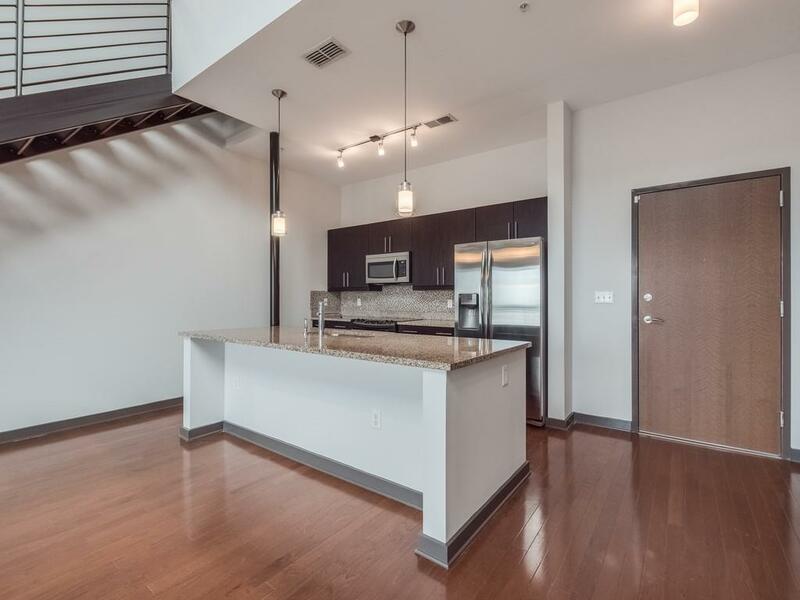 Wonderful 2 bedroom, 2 bath home with amazing views awaits in Castleberry. 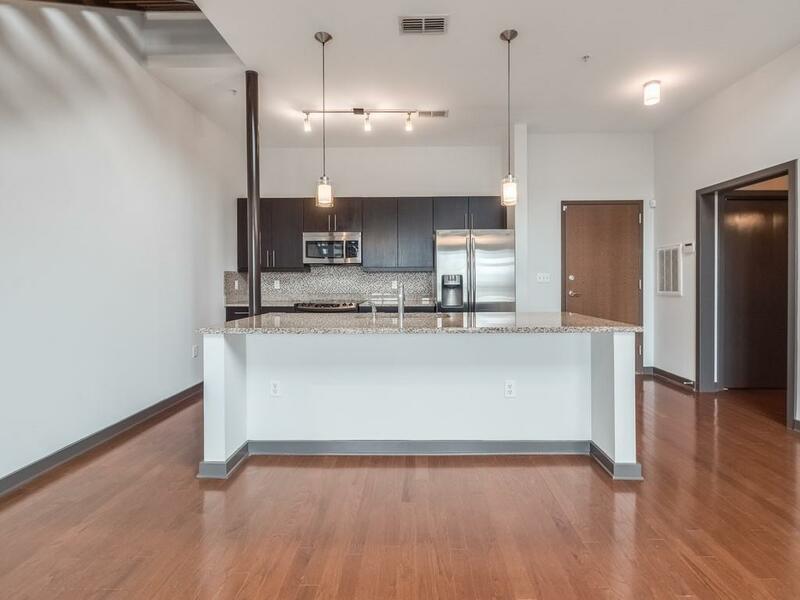 Unit features gleaming hardwood floors floors throughout, stainless steel appliances, granite counter tops, custom lighting package, and all this within an open floor plan with tons of light! 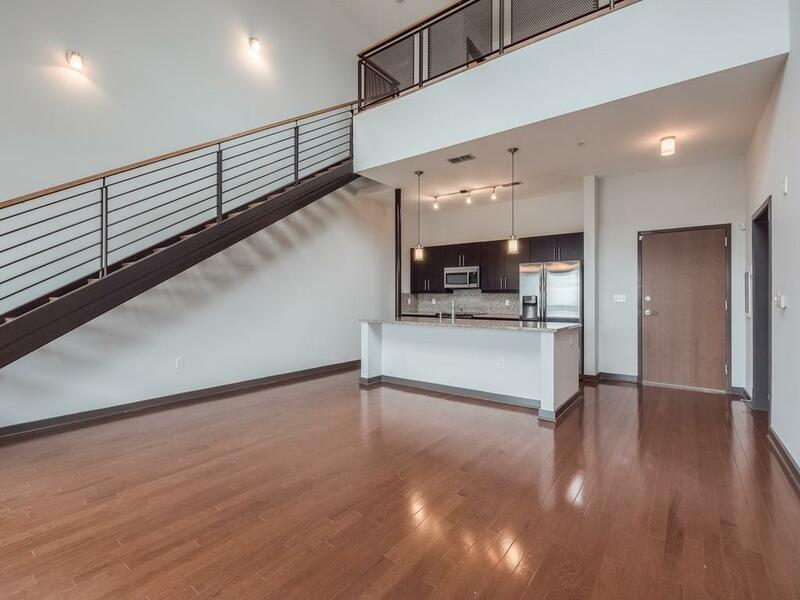 Not to mention your own ROOFTOP PATIO plus a SEPARATE BALCONY all for entertaining in the heart of downtown. Stroll to restaurants, shopping, Mercedes Benz Stadium, Centennial Olympic Park and so much more. The bonus .. 2 parking spaces in the secure parking area.